This story tells us more about the power (and danger) of so-called “big data” in healthcare than it does about the safety of Viagra. If you're a chronic smoker, e-cigarettes could be a less destructive way to get your nicotine fix. If you don't currently smoke at all, stay away from vaping; we still have no idea about its long-term health impact. Researchers in Scotland interviewed 64 smokers and found little consensus about the potential benefits and harms of e-cigarettes, which may reflect division in the medical community on the appropriateness of promoting e-cigarettes as a safer alternative to the real thing. Prolia® is a RANK ligand (RANKL) inhibitor used to treat osteoporosis in postmenopausal women who have high risk of bone fracture. A couple of studies discussed below have explored the feasibility of using first-in-class EGFR antibody therapies that are rationally designed to circumvent resistance to cetuximab and panitumumab in patients with solid cancers. The Cancer Research Institute (CRI) has created a series of short, animated videos that explain the basics of the five most common types of immunotherapy in use. The new initiative aims to encourage discussions on the paediatric needs that could be addressed with a specific medicine well before the submission of a paediatric investigation plan (PIP). 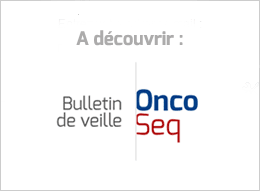 The Perjeta regimen is the first neoadjuvant (pre-surgery) breast cancer treatment recommended for approval in the EU based on the benefit in achieving pathological complete response (pCR). Novartis will have to work hard for its share of the pie as Kyprolis and Pomalyst trot out some promising numbers. CHMP positive opinion marks a key milestone toward panobinostat availability in the EU, aligning with recent US FDA approval. Farydak (panobinostat) is the first cancer medicine that targets enzymes known as histone deacetylases or HDACs, which are involved in turning genes ‘on’ and ‘off’ within cells. "In the field of oncology, new anti-PD1 drugs (Opdivo and Keytruda) and Ibrance, a breast cancer treatment from Pfizer, will be the major drivers in continued double-digit drug spending increases." Delyth is the chief executive of Breast Cancer Now and sits as a cross bench peer in the House of Lords. The challenges of pulling together relevant patient information was also a major theme. There were excruciating stories involving efforts to extract data from electronic medical records (EMRs), and from multiple EMRs – and the very high costs incurred when these efforts were successful. Inoperable cancer was no reason for my husband to miss the festival. Gains from two-year fundraising frenzy will aid the early detection of tumours. A considerable proportion of the usefulness and interest of research publications in our field comes from the data and associated metadata. We therefore insist that data be available for peer reviewers to see and readers to use. Authors should use public permanent repositories designed for appropriately consented data. Major Projects Authority says care.data and NHS Choices schemes have ‘major issues’ with schedule, budget and project definition.